How must I place an order? I'm not often at home. Can my order be delivered somewhere else also? What happens if I'm not at home when the package is offered? How can I pay at Bottles-online? What are the system requirements for Bottles-online? On what sites/extensions you can find online-Bottles? In the top left corner there is a link with "my account". Click on this link and in the left block click the green button on "create an Account". Then fill in your information. The fields marked with a red asterisk are required. The fields without asterisk are optional. In the top left corner there is a link with "my account". If you already have an account you can write in the block right through your e-mail address and password, and then click the green button "log in". Log in and then place your order. After you are logged in or created an account, you can through selecting the wines, put the wines in your basket by clicking on the green button "In basket". You can then continue shopping or checkout even further. By clicking the green button "proceed to checkout" you will walk through by 5 steps (billing address/delivery address/shipping method/payment method and verify your order) to complete your order. We ship your order as soon as possible. It will takes 3 to 5 working days, but it could also be that it is the next day, depending on stock and time and the cooperation of the shipper. If you definitely want to have an order at a specific time, please contact us then we arrange that in consultation. In Sas van Gent (The South-West part of the Netherlands) at the Gentsestraat 12 at Restaurant Bottles you can also pick up your wine. Let us know in advance when you will pick up the wine so that we have time to manage the order. I'm not often at home. Can my order be delivered elsewhere? Bottles-online offers you the possibility to deliver the wine at another address than the residential address. Packages are offered between 9 and 17 hours by TNT parcel service, however, we know not at what time. It is no problem if you are not at home, in most regions in Netherlands is a package offered again at a later time. If you are not at home, you can pick up at the post office with a collection proof of the postman. The address of the post office is on the pickup proof that you receive from the postman. Please note that you need to legitimise when picking. However you should pick up the package within a week. For the enlarged version you can always look in the general conditions. You pay no shipping costs regardless of the size or the amount at Bottles-online for shipment in the Netherlands and Belgium. You can also pick up the wine for free at restaurant Bottles, Gentsestraat 12, Sas van Gent. For shipment to other countries we count charges. They are specified on this page. All our invoices are payable during the order process via VISA or MasterCard and IDEAL. In addition, it is also possible to choose for a transfer and you can also pay cash at the restaurant Bottles in Sas van Gent or pay when the wine will be delivered. When, for whatever reason, you are not satisfied with our product you can return it. 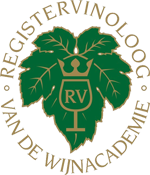 You can give the wines at the Restaurant Bottles in Sas van Gent or return them to Bottles-online BV, Gentsestraat 12, 4551 CC in Sas van Gent, within 2 weeks after receipt of the package. After correct reception lof the wines, Bottles-online BV will transfer ASAP the purchase amount on your account. Despite that we fully stand behind the quality of our products and the care that we devote to the good delivery of our product, it is possible that you are not satisfied with the product or service. Please send an e-mail to info@bottles-online.com with your contact details and your complaint is properly settled as soon as possible. The website of Bottles-online is accessible with every known browser such as Internet Explorer, Chrome, Firefox, Opera, Safari, ... Unfortunately, the wide variety of browsers with it difficulties making small differences in appearance may occur. However we do our best to ensure that this will not compromise your shopping experience. Would this be the case, in spite of everything, you can inform us as soon as possible and we will ensure that the discomfort disappeared. To do this, go to the contact page and send us a mail. On what sites/extensions can youfind Nottles-online? To get no confusion with connecting characters, we have the following domain names: www.bottles-online.nl, www.bottles-online.com, www.bottles-online.be but also registered www.bottlesonline.nl and www.bottlesonline.be. Dutch and Belgian customers who come on the .com are automatically routed to the extension of the country where you come from. In other words a Belgian customer goes through the .com is routed to www.bottles-online.be. All sites are ours and your orders arrive on one central point. If there are matters where you don’t have an answer on, please feel free to contact us by the contact form or by info@bottles-online.com. In any case, we wish you a pleasant day with lots of fun and enjoyment and trust that you will enjoy our products. Cheers!